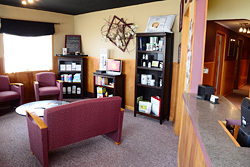 Welcome to Inspire Chiropractic & Wellness Spa! We look forward to greeting you with a friendly and caring smile. Once we greet you, we’ll ask you to complete our new patient paperwork. For your convenience, you can download the forms here on our website and complete them at home before your first visit. Don’t forget to bring these forms with you. We also ask that you bring with any X-rays or medical records you might have in your possession. Dr. Robyn will spend some time with you discussing your medical history and listening to what brought you in for your visit. She will perform a thorough evaluation to help find the cause of your pain. You’ll have plenty of time to discuss all your concerns and ask any questions you might have for Dr. Robyn. You can expect to spend approximately 40 minutes with us on your first visit. When you come in for your second visit, Dr. Robyn will give you a report of her findings from your initial examination. “I will fully discuss the results with you and recommend an appropriate care plan, which is personalized to your needs and goals.” After this 30-minute appointment we’ll schedule any additional visits. We’ll get you in and out of the office quickly on your regular visits with us, usually lasting just ten minutes. Once I start, do I have to keep going forever? Many of our patients ask this common question. How long and how often you want to benefit from chiropractic care is always up to you. At Inspire Chiropractic & Wellness Spa, we simply want to help you meet your health goals. Our work together, and how long you continue with chiropractic care, is always based on what you decide. We offer a large selection of patient media, including literature and handouts on a variety of different conditions. We also have a lending library with healthcare publications that our patients are encouraged to use. You are like family to us, and your comfort and understanding is always our top priority.